Built with the same stamina and strength as our Harvester with a three speed transmission running up to 18 mph. 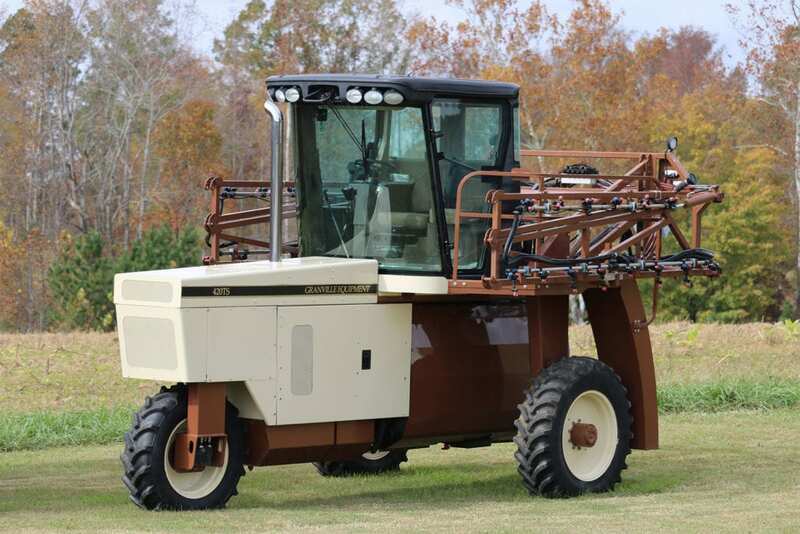 Our 3-wheel drive Sprayer is fitted with a 420 gallon tank, premium cab, and 4045TF diesel engine. All made by John Deere. We use the latest spray nozzle technology and centrifugal pump from Hypro, Micro-Trak top of the line rate controller and electromagnetic flowmeters and valves from Arag. 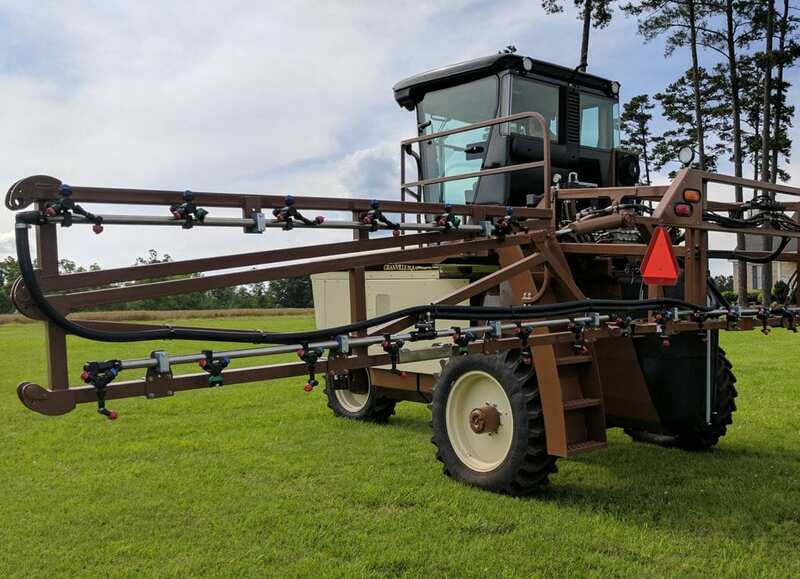 Our sprayer features a stainless steel wet boom system set up for 8 or 12 rows. CNC precision milled with optional row widths ranging from 44” to 48”. Hypro Proflo 3-way nozzle bodies allow for simple nozzle rotation for various spray applications. Equipped with a John Deere premium cab including air ride seats and arm rest boom controls. It is designed to give the operator optimum comfort, convenience, and visibility. 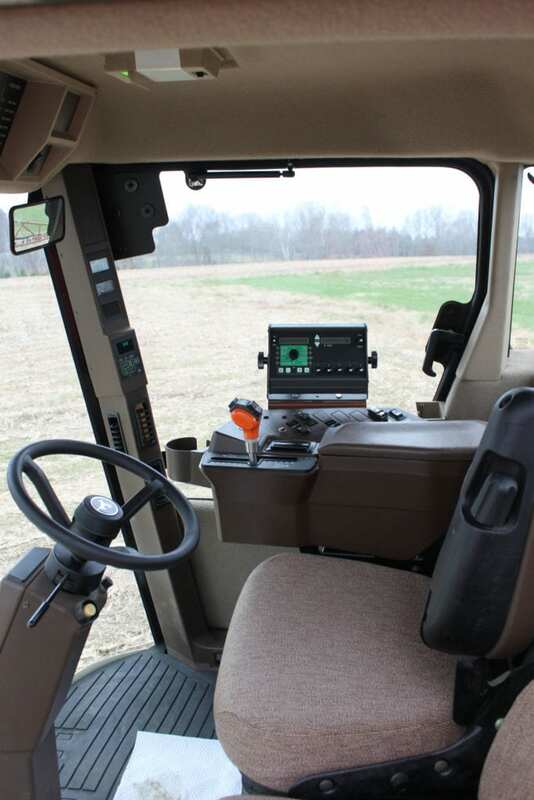 The Deere premium cab includes air condition, AM/FM radio and buddy seat. Our chassis has an adjustable wheelbase from 92” to 120” with a crop clearance of 71”. 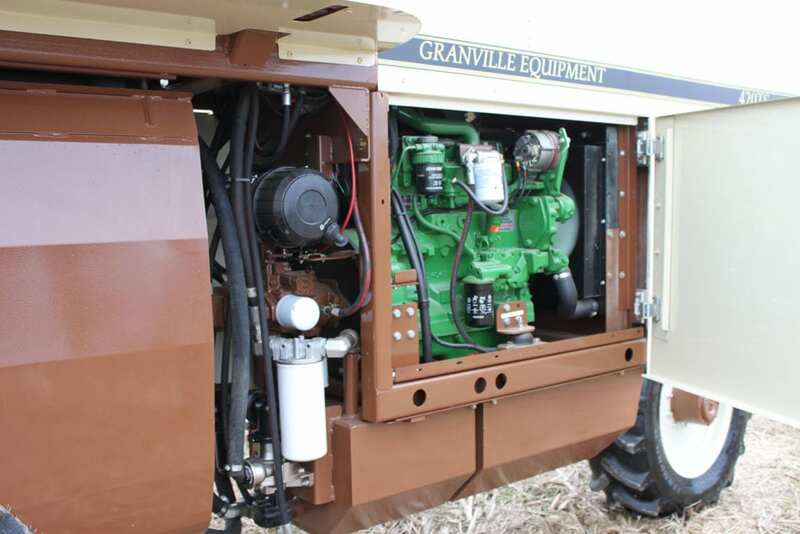 We can adjust the Granville 420TS for your needs to match your farm. Spray Position : Booms are folded all the way out with 300 lbs of pressure on the cushion rams insuring safe breakaway and smoother spray positions through the field. Hold Position : In the hold position booms are locked in desired position for service or spraying around obstacles. 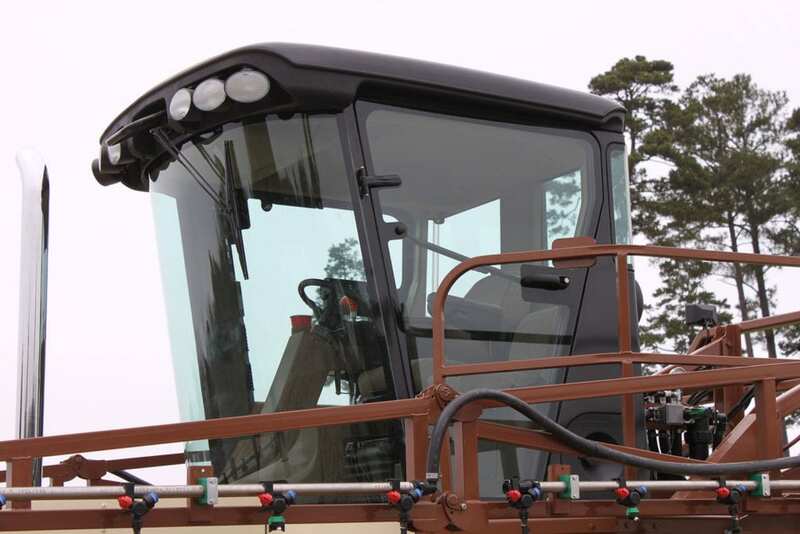 The Granville 420TS features products from leaders in the agricultural industry. Take a look at some highlights from the manufacturers themselves…. Arag electromagnetic flowmeters feature low sensitivity to turbulence with high precision and low maintenance. Hypro’s stainless steel centrifugal pump achieves up to 97-147 gpm and 130-145 psi. John Deere premium cab has a center-mounted design with large areas of tinted glass and narrow corner posts providing unobstructed views. Hypro’s Proflo 3-way nozzle body allows for easy transition of spraying applications. 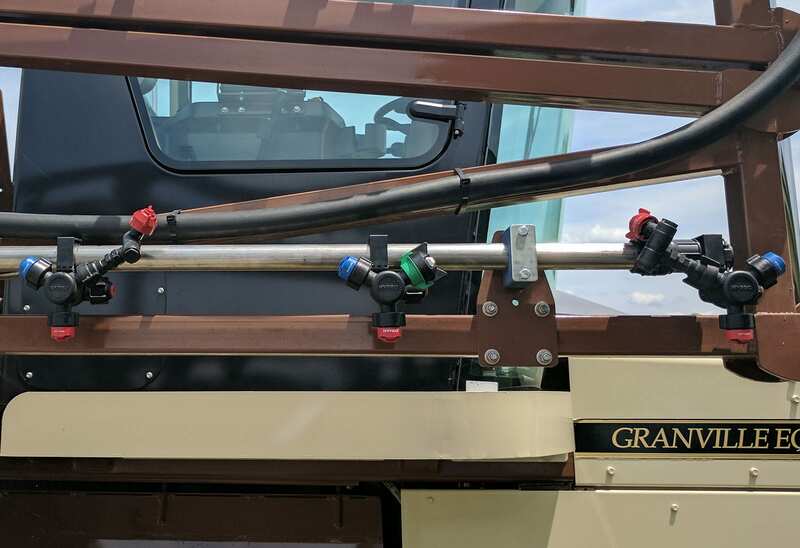 With a few turns the Granville 420TS can go from spraying contact for sucker control or broadcast applications to high pressure applications with the turn of your wrist. 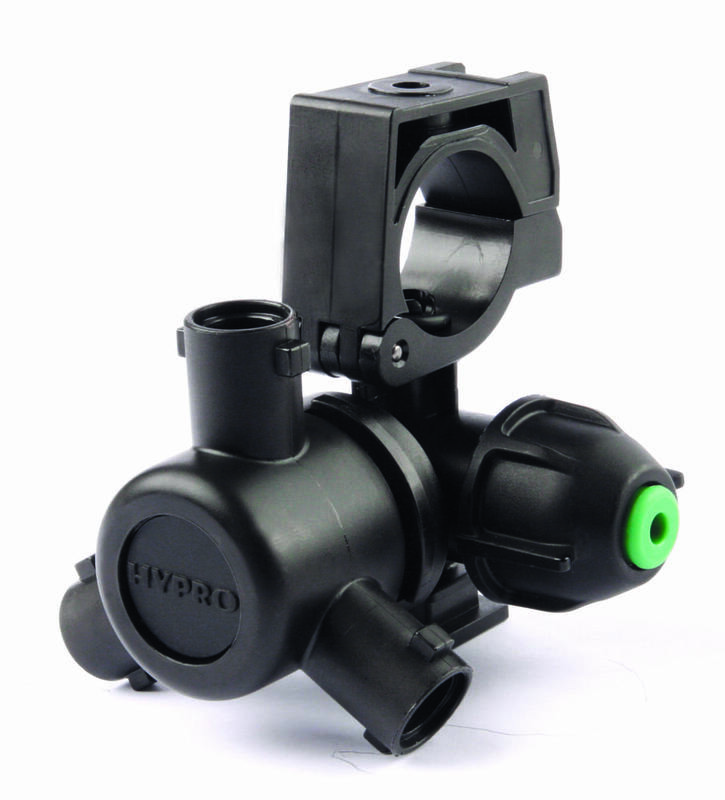 The Proflo 3-way nozzle bodies are designed to deliver the highest flow rates across the spraying pressure range. 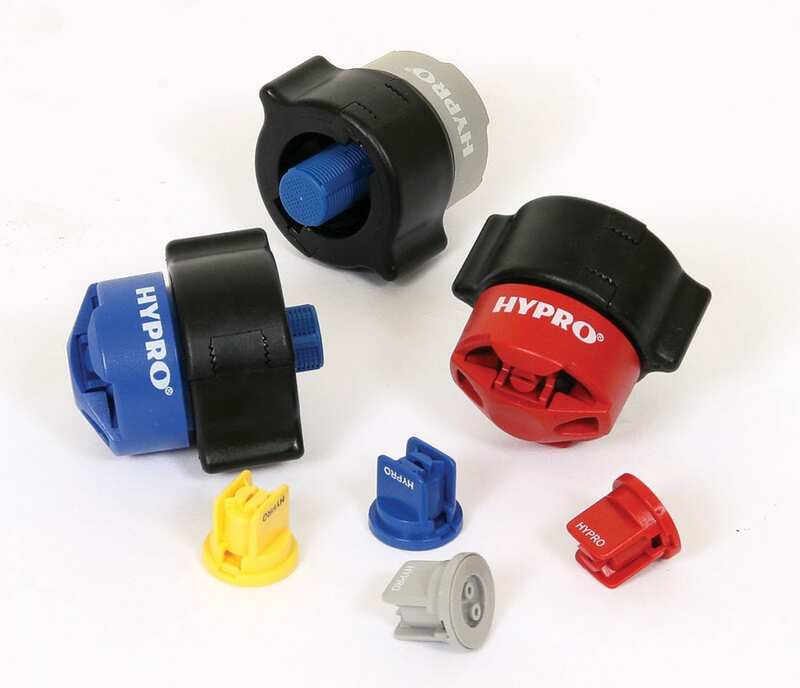 Hypro has the largest selection of spray nozzles on the market. 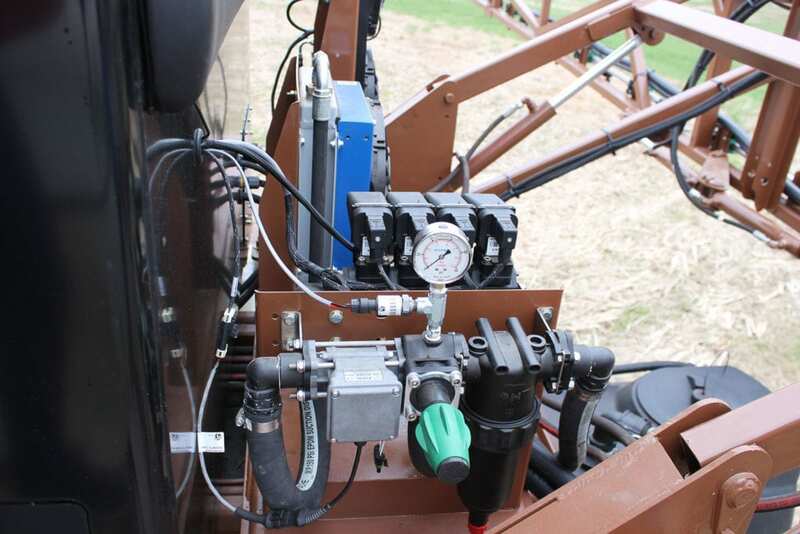 Proper nozzle selection is key to increase spray deposition. We’ve chosen the top nozzles for chemicals we use in tobacco. Also, check out the SPRAY IT app offered by Hypro for proper nozzle selection for all your spray applications.